1. 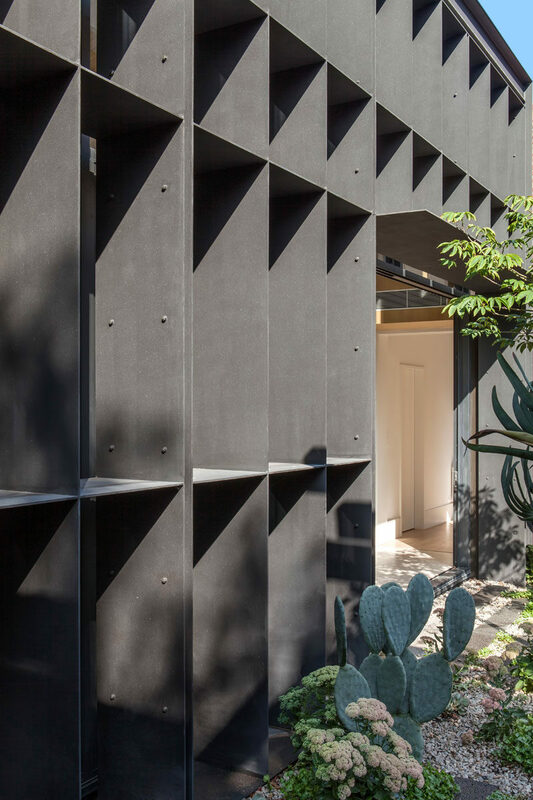 The laser-cut screens featured on this modern house, have a repetitive pattern and provide a unique experience for someone who is entering the courtyard, the heart of the home. See more photos of this house, here. Designed by Jamison Architects. Photography by Scott Burrows. 2. 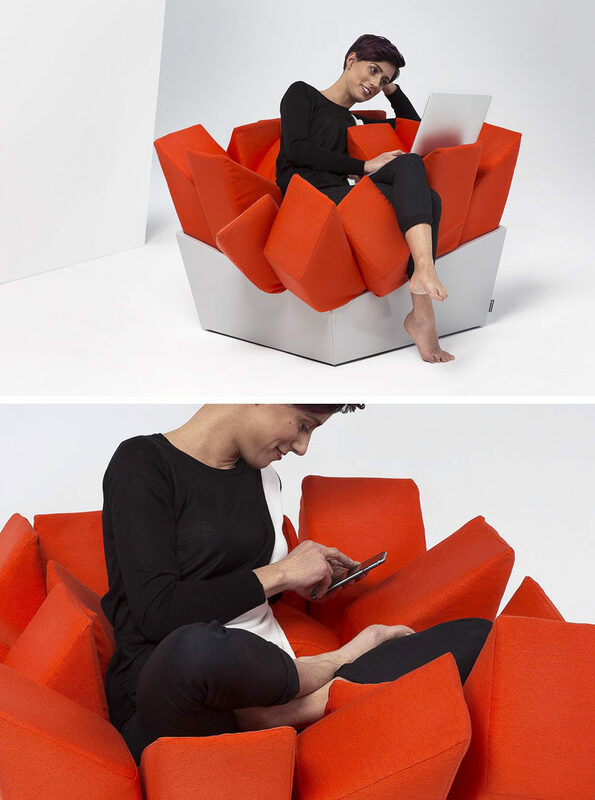 Italian creative firm BestBefore2065, have designed MANET, a fun and sculptural chair, that allows people to sit however they like and still be comfortable. See more photos of this chair, here. Designed by BestBefore2065. 3. Wood pegs on the white walls are used for wine storage in this modern kitchen. See more wine storage ideas, here. Designed by Artem Tiutiunnyk. 4. 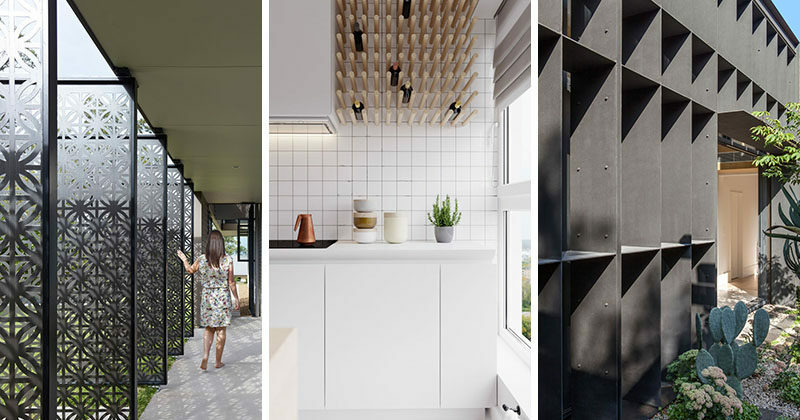 This new modern house extension is made from a structural steel baffle that is able to regulate sunlight, providing protection from the sun and casting shadows throughout the day. See more photos of this house, here. Designed by Clare Cousins Architects. Photography by Lisbeth Grosmann. 5. This modern cabinet hides a litter box inside, and is made from a high quality walnut wood with a water proof finish, which can be left natural or painted. See more photos of these cabinets, here. Designed by Modernist Cat.